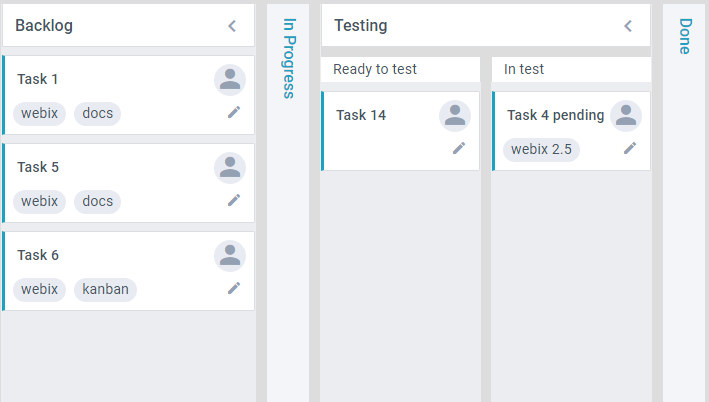 Kanban Board has a layout structure. It means that it consists of rows and columns that can be combined in different ways. 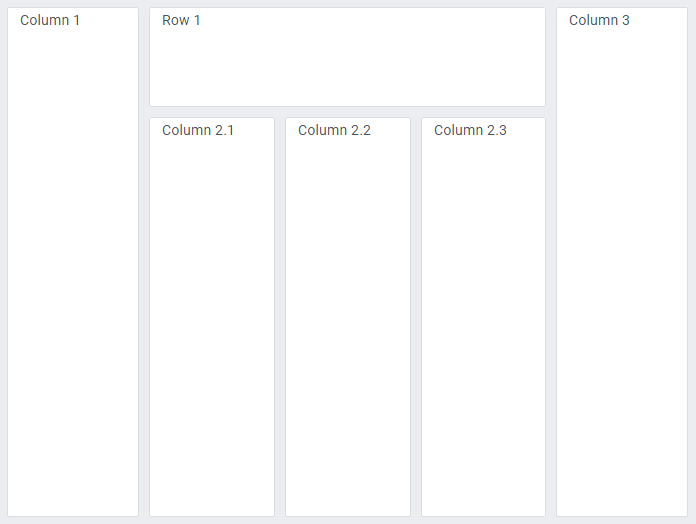 A column has a header with its name and a body that can contain either a KanbanList view or other rows- or cols-layouts (to create a more complex structure). The rows property is used to specify rows on the board, and the cols property is used to define columns. Kanban has a stylish functional header - "kanbanheader" - that can be placed above KanbanLists. KanbanHeader has an icon that can be used for quick adding of cards. 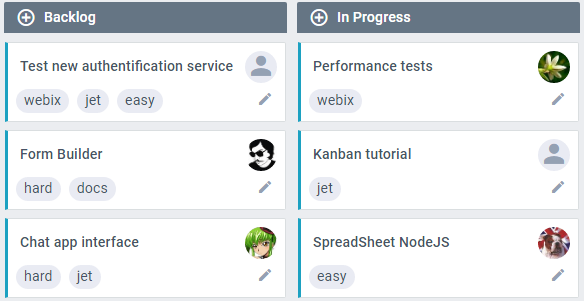 view:"kanbanheader", label:"Work", type:"sub", link:"work", icon:"wxi-pencil"
The icon will work as the default one - add a card to the linked list. If the header or subheader is not linked to a list, the icon is not added. You can add an icon, but you will have to provide the action for the icon on your own. In case your working process consists of many stages, you may need to make a more complex Kanban board to reflect the full flow of work. 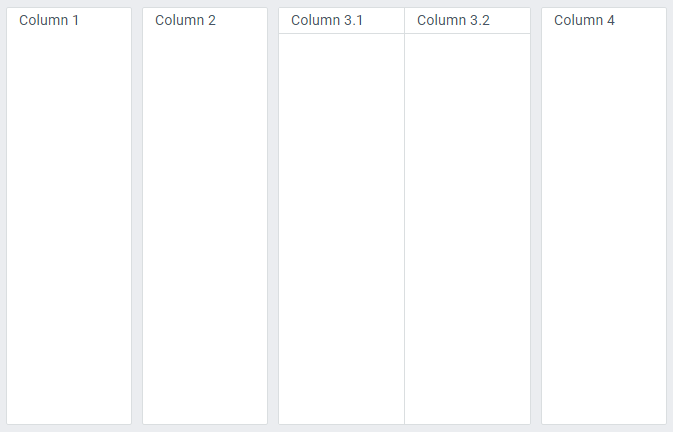 Suppose you want to make a Kanban Board consisting of 4 columns, one of which contains two sub-columns. Note that in the second column the cards at the top are not placed one below the other, but several cards are placed in a row. This is achieved by using KanbanDataview instead of KanbanList. You can assign a complex value to a status property of a Kanban list. 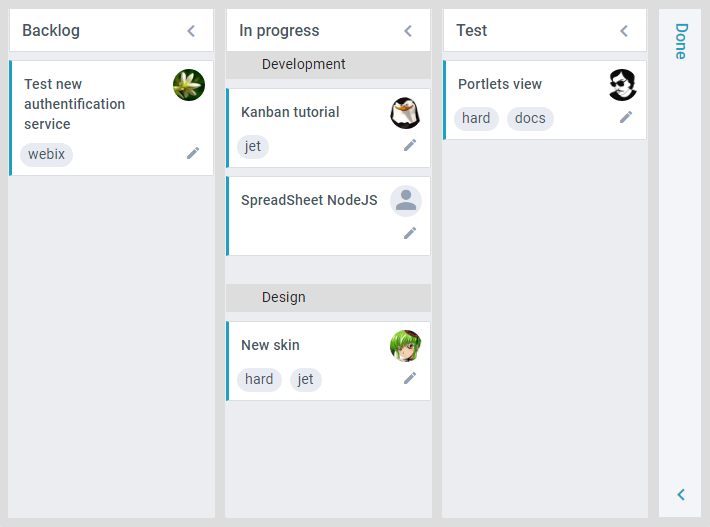 This will allow you to implement swimlanes in your Kanban board. 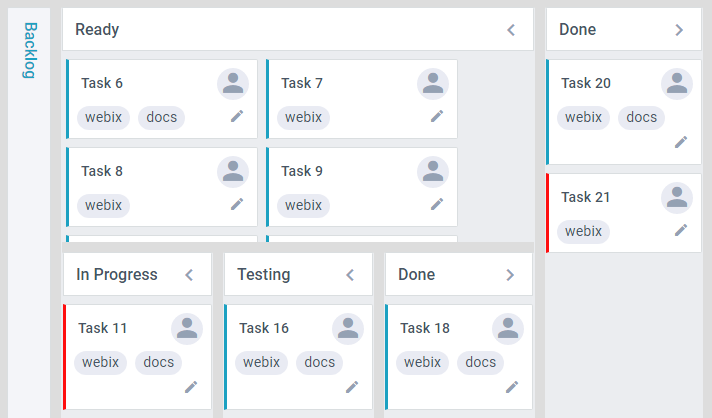 For example, lets take a Kanban board with To Do, In Progress and Done columns containing lists with new, work and done statuses. 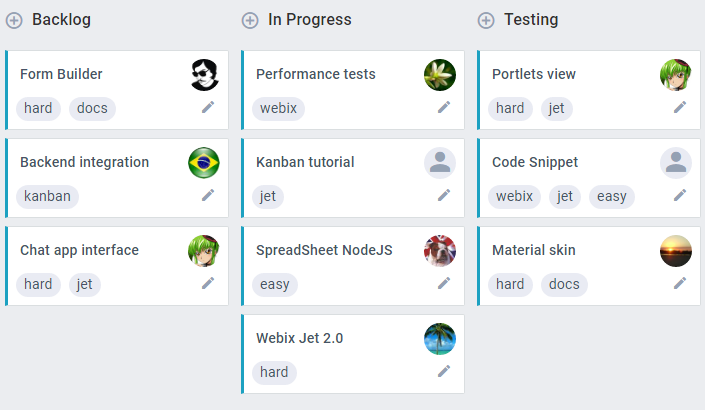 The In Progress column should contain tasks for development and design teams. So, instead of one list, you can set two lists with complex statuses that consist of two properties: status and team. Each loaded data item (task) will be placed into a list the "status" values of which correspond to "status" and "team" properties of the task. You can use any names of data properties within the complex status of a Kanban list, and these names will be used to filter data items. Yet it is highly advisable to have status among the names and use the status property in the item data. 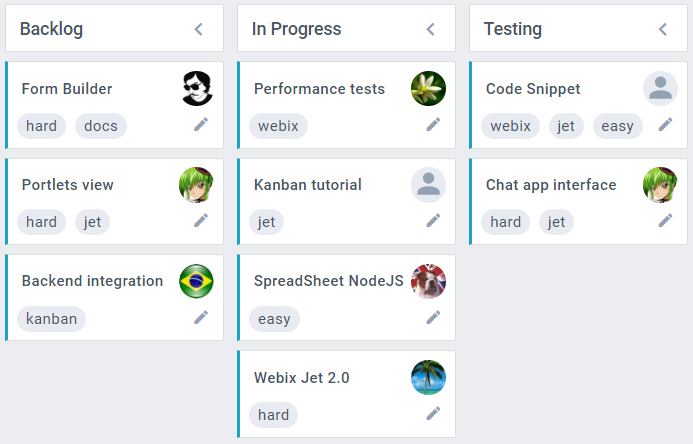 It ensures correct work of a Kanban board when the task is moved into another Kanban list with a simple status.